In a league where the two main contenders don't seem to be very willing to drop points, except when facing each other, any slip can turn out to be crucial at the end of the season. Real Madrid struggled against Getafe, but brought the 3 points home and keeps holding Barcelona at 7 points below. Real Madrid visited Getafe at the "Coliseum Alfonso Pérez" and pulled off another 3 valuable points, in a tough match won by 0-1. A Sergio Ramos early goal at the 18th minute, allowed the Merengues to take a lead that they wouldn't let to slip away anymore. Cristiano Ronaldo still found the back of the net just before the final whistle, but his goal got ruled out for offside, in what was indeed a correct linesman decision. Since Barcelona also won their home fixture against Real Sociedad by 2-1, Real Madrid still holds a 7 points distance over the Blaugrana, with 21 games already played in La Liga. During one of the coldest winters in Europe over the last years, Real Madrid prepared to a cold night and tough fight against Getafe, precisely the only team in La Liga who managed to beat Barcelona this season. José Mourinho, who still can't count with the Angel Di María and Sami Khedira, was also forced to find a replacement for Marcelo, who picked an injury a few days ago. The Merengues were about to play their game just two hours before Barcelona hosted Real Sociedad at the Camp Nou, so everyone knew how important it was to avoid losing any point at this stage of the season. The game started with Getafe creating a blatant goalscoring chance, from a play originated in a free-throw, near the 3th minute. A long cross to the far post allowed a first-touch pass to be made to Getafe's midfielder, Barradas, who found himself in a great position to score but failed to hit the target. A goal at that point would have certainly turned Real Madrid's mission a lot more difficult last night. Luckily, Getafe didn't take that early lead and the initial period of the game was actually well disputed, without any of the teams managing to impose at the other. Even so, Real Madrid would open hostilities near the 18th minute, taking advantage of a set-pieces play. 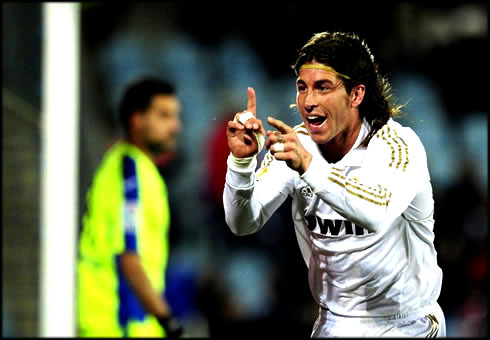 Mesut Ozil took the corner kick on the left and Sergio Ramos proved why he is regarded as one of the best headers in the game, by majestically deflecting his teammate's cross to the back of the net. Without really creating many situations to put Getafe into trouble, the Merengues still found a way to get the lead and only time would end up proving how important this goal happened to be. Few people believed that with such an early goal in the game, we wouldn't be witnessing a few more coming further on. Before this match against Getafe, Real Madrid had 20 games played in La Liga, from which they scored an impressive amount of 70 goals! That makes an exact average of 3.5 goals per game, which somehow helps explaining why it has been surprising to see last night's game dragging until the end, without any more goals taking place. Even though these kind of wins and performances might unplease the most demanding fans, José Mourinho is surely aware that sometimes, his team just has to do what needs to be done, in order to get the victory and the 3 points that can make all the diference at the end of the season. As it has been usual lately, Cristiano Ronaldo battled a lot and showed his willness in helping the team in what concerns defending. The Portuguese player would still score a goal close to the end of the game, but it got immediatly ruled out for offside, despite the good first-touch finish from the Real Madrid star player. The goal would have probably been not only a good reward for his efforts, but also a great happy birthday gift for Cristiano Ronaldo, who turns 27-years old tomorrow, on the 5th of February, 2012. It seems like it was just yesterday that a 18-years old skinny boy was about to dazzle Old Trafford on his debut, in a game between Manchester United and Bolton. Congratulations Ronaldo! Real Madrid next game will be against Levante for La Liga, next Sunday. In the meanwhile, you can watch the Superbowl Final between the New York Giants vs New England Patriots, but also Liverpool vs Tottenham and Chelsea vs Manchester United live from our football live streams section. 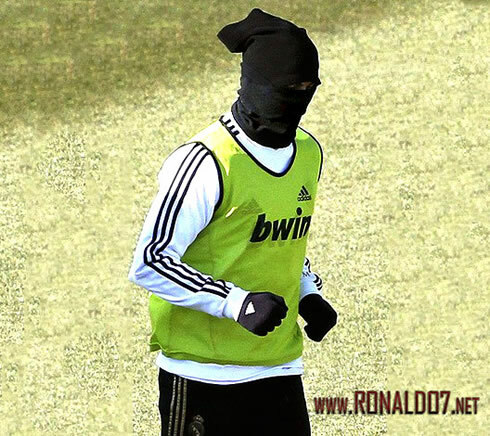 Cristiano Ronaldo is expected to be on the line-up against Levante, in the next weekend fixture.